Georgia’s historic capital city Tbilisi is not only the impressive metropolis where Scotland’s national football team suffered a recent, deeply damaging reverse, it is also home to the excellent Tbilisi International Festival of Theatre. I was pleased to be invited, for a third time, to a festival which incorporates work by some of the world’s leading theatre makers, as well as a showcase of Georgian stage drama. My pleasure increased when I discovered that this year’s international programme included A Tempest, presented by the Marin Sorescu National Theatre of Craiova, Romania and directed by the great theatrical auteur Silviu Purcarete. The Romanian director is no stranger to Edinburgh International Festival audiences, having staged his acclaimed productions of Faust and Gulliver’s Travels in 2009 and 2012 respectively. His rendering of Shakespeare’s last play is, thanks to an outstanding stage design by Dragos Buhagiar, characteristically memorable in its visual conception. The wood-panelled island cell of Prospero, self-taught sorcerer and deposed Duke of Milan, is a derelict, but once opulent, room from the eighteenth century. Every piece of furniture, from the grand bed to the three-legged armchair, is a broken and dusty shadow of its former self. The creaking wardrobe at the back of the room becomes a magic portal through which Prospero conjures all manner of events, objects, people and supernatural beings. Purcarete behaves like Prospero himself, reshaping every character as he sees fit. The sorcerer’s beautiful daughter Miranda, for example, is played by a strapping, six-foot tall, male skinhead in a paper dress opposite a female Ferdinand, prince of Naples. Prospero’s magical sprite Ariel is a wigged fop who could have stepped out of the court of Louis XVI, while the buffoonish, drunken conspirators Stephano and Trinculo are a bowler-hatted comic double act in the Laurel and Hardy mould. All of which is interesting and visually compelling. However, one can’t help but feel that Purcarete’s “director’s theatre” has descended here into unaccountable self-indulgence. What logic, for example, is there in the actor who plays Miranda doubling up as the enslaved island dweller Caliban? More problematic still is the director’s puzzling decision to kill Prospero off before the final scene. His great final speech is made to an empty room, then repeated to the assembled characters by the magician’s disembodied ghost. Visually fascinating, with superb use of music, this Tempest is, for all its flair, not classic Purcarete. If even an imperfect production by the Romanian master demands one’s attention, so too does Three Sisters, a “choreodrama” (that’s dance to you and me) based upon Chekhov’s play by the Vaso Abashidze theatre company of Tbilisi. Performed to affecting music by Alfred Schnittke, the piece is an often beautiful, wordless rendering of a play of yearning and disappointment. The costume design is excellent. The titular siblings wear splendid white dresses, the soldiers formal, beige uniforms. The simple set is less impressive, being dominated by somewhat ugly chairs, made mainly of canes. The choreography, by Konstantin Purtseladze, is similarly uneven. A hip-swinging motif, for the sisters in their happier moments, is repeated more often than it deserves. The company itself is decidedly mixed, with some performers being noticeably more comfortable dancers than others. Such shortcomings notwithstanding, there are moments in which the piece articulates the anguished essence of Chekhov’s play. This is particularly true in the beautifully, and painfully, choreographed moment in which Masha is literally caught between her departing lover, army officer Vershinin, and her forgiving husband, the staid teacher Kulygin. Although the festival is, in general, a good deed in a naughty world, the selection, and indeed special recommendation, of 1945, by Nodar Dumbadze Professional State Youth Theatre of Tbilisi, has left me astonished and outraged in equal measure. 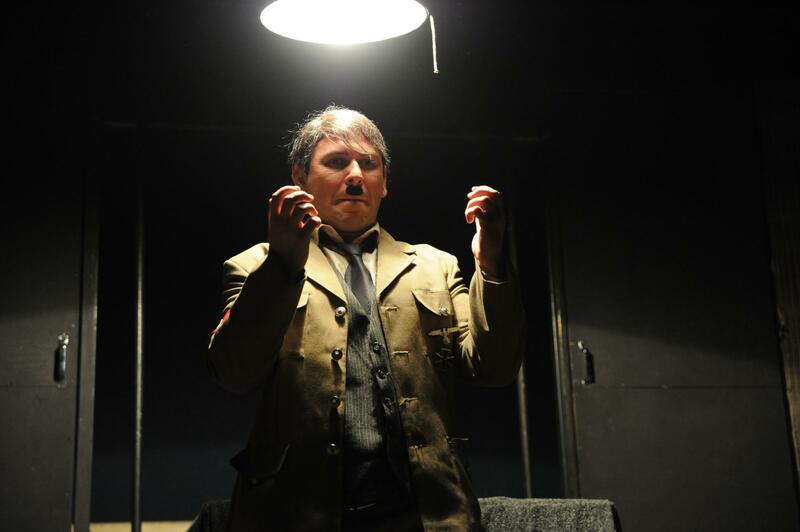 A play aimed at young audiences, this devised work, created by young director Nikoloz Sabashvili, is the most misguided, irresponsible and offensive reflection on the life of Adolf Hitler one could possibly imagine. A work of astoundingly vulgar cod psychology, it suggests that more than 15 million people (six million of them Jewish) died in the Nazi Holocaust as a consequence of Hitler’s difficult childhood and youth. His father (a violent drunk) terrorises him. His mother takes a Jewish lover who is nasty to him. The Jewish girl he falls in love with marries another (Jewish) man. Hitler goes mad with grief and resentment. Just what Sabashvili thinks Jewish audience members, or, indeed, any decent theatregoers with a sense of political and historical perspective, are supposed to make of this garbage is anyone’s guess. 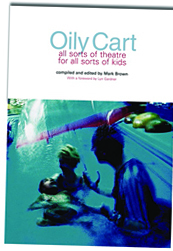 It is extraordinary that, during this play’s development, no-one in a position of responsibility within the company put a stop to it. It’s more astonishing still that the Georgian critics and showcase selectors thought fit to recommend and programme it. As the piece comes to its end and (I kid you not) stage smoke is used to stand in for the Zyklon B gas used in the Nazi death chambers, one wonders if this horrible piece has any more awful ideas to offer. Sadly, as, in another moment of dreadful historical reductionism, Hitler transforms into Stalin, we find that it does. It is genuinely terrifying that anyone could believe that such a dangerous and erroneous account is a good way to educate young people about the Holocaust. I am still shocked that it has appeared in Tbilisi, a city which is deservedly renowned for the quality of its theatre.